We both decided we had to make a card for the latest Clearly Besotted Challenge - seeing spots, we both love their stamps. This is what I made, I included spots with the patterned paper and there are also spots on the butterflies. SO nice to have you back Tracy! This is just beautiful, love your design and the fresh summer colors! This is a beautiful card , its just so pretty and I love those colours together .LOVE it. 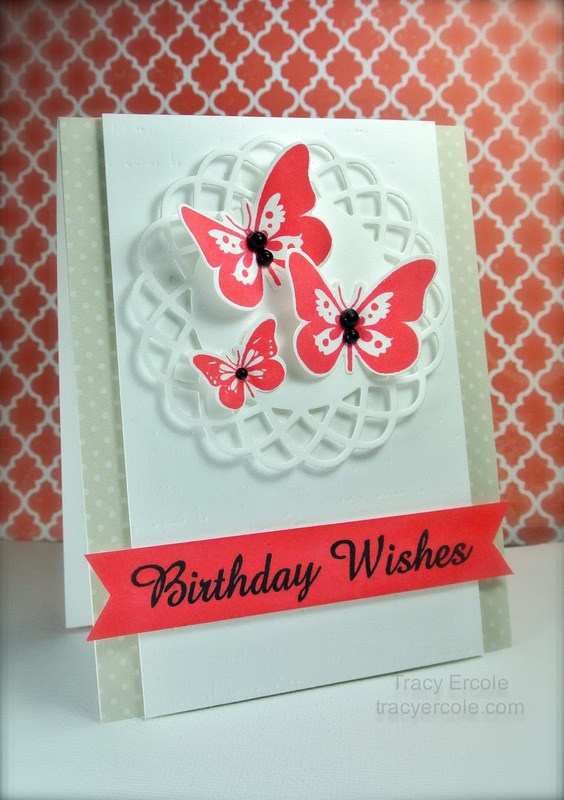 Tracy I love this card, those butterflies are perfect!